Hats off for Southampton's first winter graduations! This year, for the first time, University of Southampton students will be attending graduation ceremonies in December as well as July. Students who are awarded their degree in the autumn will now be able to attend a graduation ceremony within a few weeks, rather than wait until the following summer. 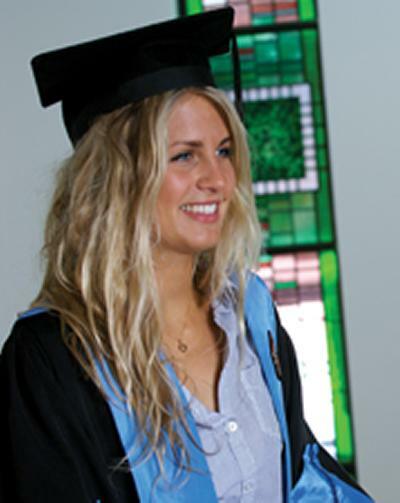 In another 'first' this December, mortarboards are to be introduced as part of the academic dress for University of Southampton graduands, adding to the element of tradition in the ceremonies, following a successful petition by the University's Students' Union. This December's graduation ceremonies take place on Wednesday 17 and Thursday 18 December in the Turner Sims Concert Hall on the University's Highfield campus. Pro-Vice Chancellor, Professor Debra Humphris, commented: "This is an exciting new step for Southampton. For many years, students whose academic timetable meant that they were awarded their degree in late summer and the autumn have had to wait until the following summer to attend a formal graduation ceremony. Now they will be able to attend graduation while the sense of achievement in gaining their degree is still fresh in their minds." In recent years, the University has seen a significant expansion in its July graduation, as increasing numbers of students choose to attend their formal graduation ceremony. The first four Schools to be chosen for the new winter ceremonies are those with the largest number of students awarded their degrees between July and November - Health Sciences, Art, Psychology and Electronics and Computer Science. Wippells, the University's robe makers, are currently making 2000 mortarboards in preparation for December's ceremonies.